Marcus Samuelsson’s second Harlem restaurant Streetbird Rotisserie opens Thursday, here’s the menu | HarlemGal Inc. If you haven’t heard yet, Streetbird Rotisserie, Marcus Samuelsson’s second Harlem restaurant on 116th Street and Frederick Douglass, will open this Thursday, according to his PR representation. Some mainstream outlets are reporting Friday as opening day. But it’s confirmed for Thursday, April 2. 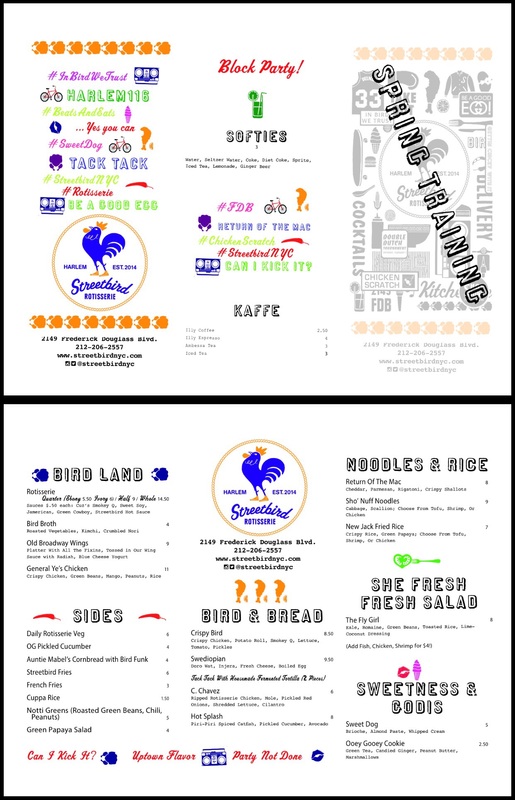 This blog asked for a copy of the Streetbirdnyc menu and price point. Take a look! Everything is reasonably priced at $11 bucks or less! Let us know what you think! This entry was posted in 116th Street, Bars, celebrities, Harlem, Harlem Restaurant Row, Marcus Samuelsson, streetbirdnyc and tagged Harlem, streetbird rotisserie harlem. Bookmark the permalink.